Making bias tape still sort of freaks me out, maybe because I’m in awe of the continuous method (aka the tube). No matter how carefully I mark and pin and match edges together, I still can’t quite wrap my head around what I’m doing. 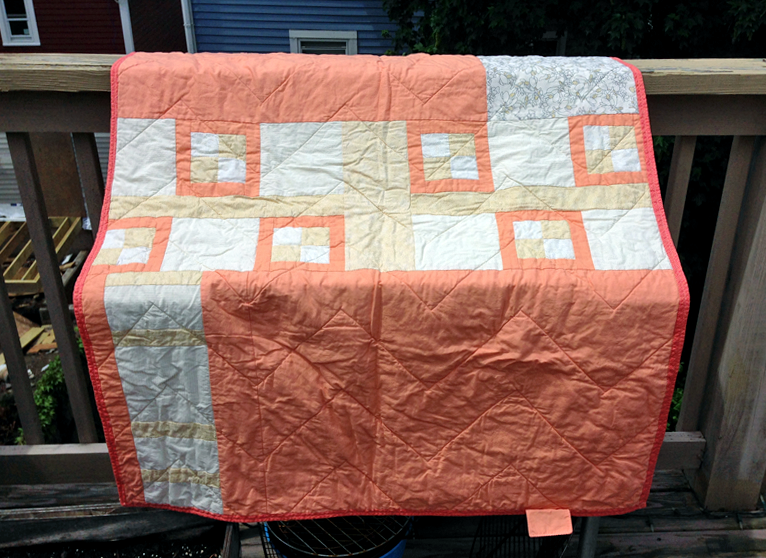 I persevered last week, though, in order to get one step closer to finishing the peach and gold quilt. I ended up with a lovely mound of coral and peach bias tape, which I promptly ruined by not paying close enough attention to my scissors as I was cutting it apart. 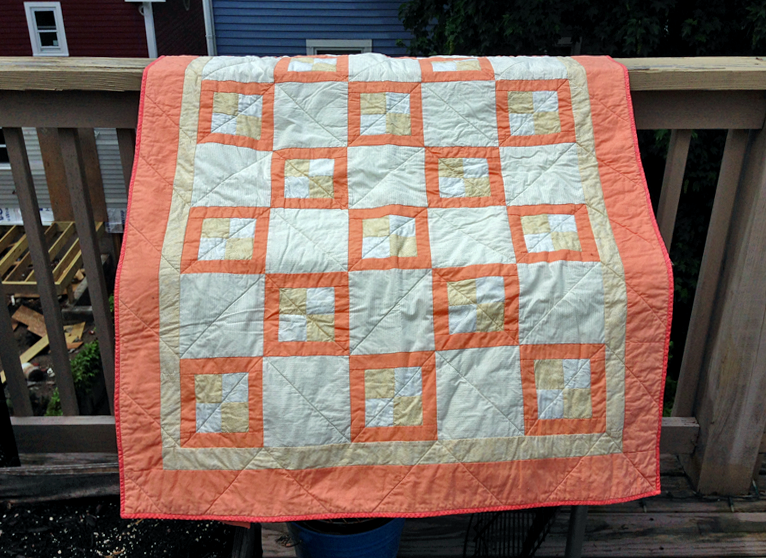 I was able to patch the non-shredded bits together and ended up with juuuuuust enough to make it around all four edges of this lovely quilt. Why, Quilting By Machine Singer Sewing Reference Library. Why. 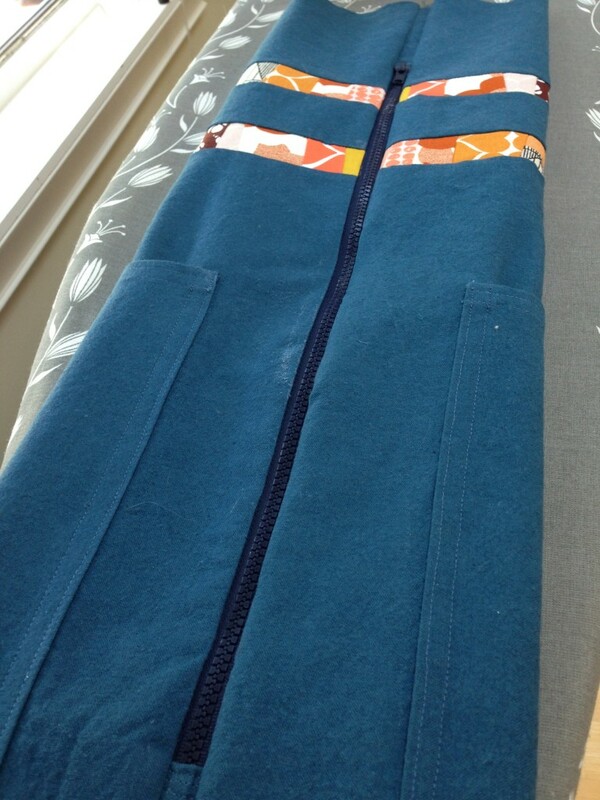 I managed to hand stitch along one long edge and wrangle one ugly binding tail into submission. From the front, it looks okay. From the back…I long for neatly mitered corners. Nevertheless: only three more edges to hand sew and three more tails to tack down. So close to being done! 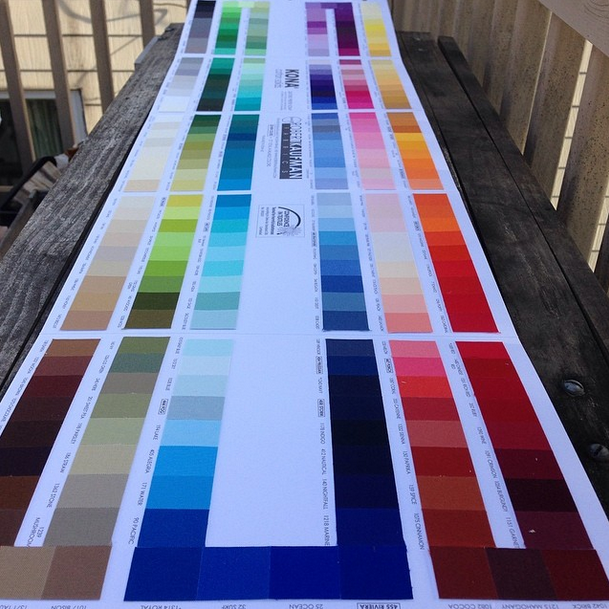 My Robert Kaufman Kona Color Card arrived today. It’s so pretty I might cry.